Match ends, FC Nurnberg 0, Borussia Monchengladbach 1. 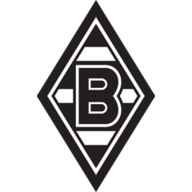 Second Half ends, FC Nurnberg 0, Borussia Monchengladbach 1. Attempt missed. Andreas Wolf (FC Nurnberg) left footed shot from the centre of the box is too high. Substitution, Borussia Monchengladbach. Anderson defender replaces Marco Reus. Mehmet Ekici (FC Nurnberg) wins a free kick in the attacking half. Foul by Mohamadou Idrissou (Borussia Monchengladbach). Philipp Wollscheid (FC Nurnberg) wins a free kick in his own half. Foul by Igor de Camargo (Borussia Monchengladbach). Foul by Andreas Wolf (FC Nurnberg). Igor de Camargo (Borussia Monchengladbach) wins a free kick in his own half. Corner, FC Nurnberg. Conceded by Tony Jantschke. Attempt blocked. Andreas Wolf (FC Nurnberg) right footed shot from more than 35 yards is blocked. Andreas Wolf (FC Nurnberg) wins a free kick in the attacking half. Foul by Marco Reus (Borussia Monchengladbach). Foul by Michael Bradley (Borussia Monchengladbach). Attempt saved. Philipp Wollscheid (FC Nurnberg) header from the left side of the six yard box is saved in the bottom right corner. Assisted by Javier Pinola. Penalty saved! Javier Pinola (FC Nurnberg) fails to capitalise on this great opportunity, right footed shot saved in the bottom left corner. Marco Reus (Borussia Monchengladbach) is shown the yellow card. Penalty FC Nurnberg. Christian Eigler draws a foul in the penalty area. Penalty conceded by Tobias Levels (Borussia Monchengladbach) after a foul in the penalty area. Attempt blocked. Christian Eigler (FC Nurnberg) right footed shot from the centre of the box is blocked. Attempt blocked. Christian Eigler (FC Nurnberg) header from the centre of the box is blocked. Assisted by Jens Hegeler with a cross. Attempt blocked. Mehmet Ekici (FC Nurnberg) right footed shot from the centre of the box is blocked. Substitution, Borussia Monchengladbach. Tony Jantschke midfielder replaces Thorben Marx. Foul by Julian Schieber (FC Nurnberg). Havard Nordtveit (Borussia Monchengladbach) wins a free kick in his own half. Substitution, FC Nurnberg. Rubin Rafael Okotie forward replaces Juri Judt. Foul by Markus Mendler (FC Nurnberg). Christofer Heimeroth (Borussia Monchengladbach) wins a free kick in his own half. Foul by Martin Stranzl (Borussia Monchengladbach). Foul by Mehmet Ekici (FC Nurnberg). Thorben Marx (Borussia Monchengladbach) wins a free kick on the right wing. Tobias Levels (Borussia Monchengladbach) wins a free kick in his own half. Corner, FC Nurnberg. Conceded by Roman Neustadter. Corner, FC Nurnberg. Conceded by Christofer Heimeroth. Attempt saved. Julian Schieber (FC Nurnberg) left footed shot from outside the box is saved in the top left corner. Assisted by Juri Judt. Substitution, Borussia Monchengladbach. Michael Bradley midfielder replaces Mike Hanke. Offside, Borussia Monchengladbach. Filip Daems tries a through ball, but Mike Hanke is caught offside. Attempt blocked. Markus Mendler (FC Nurnberg) left footed shot from outside the box is blocked. Assisted by Mehmet Ekici. Tobias Levels (Borussia Monchengladbach) is shown the yellow card for a bad foul. Javier Pinola (FC Nurnberg) wins a free kick on the left wing. Foul by Tobias Levels (Borussia Monchengladbach). Foul by Mike Hanke (Borussia Monchengladbach). Hand ball by Javier Pinola (FC Nurnberg). Christian Eigler (FC Nurnberg) wins a free kick on the left wing. Andreas Wolf (FC Nurnberg) wins a free kick in his own half. Delay in match Mike Hanke (Borussia Monchengladbach) because of an injury. Igor de Camargo (Borussia Monchengladbach) wins a free kick in the attacking half. Substitution, FC Nurnberg. Markus Mendler midfielder replaces Robert Mak. Corner, FC Nurnberg. Conceded by Filip Daems. Attempt missed. Igor de Camargo (Borussia Monchengladbach) right footed shot from the centre of the box is close, but misses to the left following a corner. Corner, Borussia Monchengladbach. Conceded by Raphael Schafer. Mehmet Ekici(FC Nurnberg) wins a free kick in his own half. Corner, Borussia Monchengladbach. Conceded by Andreas Wolf. Attempt blocked. Roman Neustadter (Borussia Monchengladbach) right footed shot from outside the box is blocked. Assisted by Igor de Camargo. Attempt missed. Javier Pinola (FC Nurnberg) left footed shot from outside the box is high and wide to the left. Attempt missed. Andreas Wolf (FC Nurnberg) header from the right side of the six yard box is just a bit too high. Assisted by Mehmet Ekici with a cross following a corner. Attempt missed. Andreas Wolf (FC Nurnberg) header from the centre of the box is close, but misses to the left following a set piece situation. Juri Judt (FC Nurnberg) wins a free kick on the right wing. 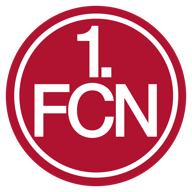 Second Half begins FC Nurnberg 0, Borussia Monchengladbach 1. Substitution, FC Nurnberg. Christian Eigler forward replaces Almog Cohen. First Half ends, FC Nurnberg 0, Borussia Monchengladbach 1. Attempt missed. Mehmet Ekici (FC Nurnberg) right footed shot from long range on the right is close, but misses the top left corner. Assisted by Almog Cohen following a set piece situation. Roman Neustadter (Borussia Monchengladbach) wins a free kick in his own half. Attempt missed. Jens Hegeler (FC Nurnberg) left footed shot from outside the box is high and wide to the left. Assisted by Timmy Simons. Foul by Philipp Wollscheid (FC Nurnberg). Igor de Camargo (Borussia Monchengladbach) wins a free kick on the left wing. Jens Hegeler (FC Nurnberg) wins a free kick on the left wing.